What is it like to grow up Aboriginal in Australia? This anthology, compiled by award-winning author Anita Heiss, attempts to showcase as many diverse voices, experiences and stories as possible in order to answer that question. Each account reveals, to some degree, the impacts of invasion and colonisation - on language, on country, on ways of life, and on how people are treated daily in the community, the education system, the workplace and friendship groups. This brilliant collection of short memoir from Indigenous writers highlights an enormous diversity in the life stories of Aboriginal people in Australia, from those who grew up in middle-class suburbia to those in self-determined communities, to missions and reserves, to small communities in remote areas. It comprises the stories of people who have grown up speaking their people’s language, people who have lived on country their whole lives, people who belong to the Stolen Generations, and people whose families have moved between cities for generations. There are many common threads in these stories: distinct as each one is, each writer has a story to tell about the pain of being singled out by racism and the relentless forces of colonialism in settler Australian culture, and it is infuriating and heartbreaking reading about these things endured by small children. One common experience was being told that you are both ‘not black enough’ to be Aboriginal and ‘too black’ to be included in the mainstream. 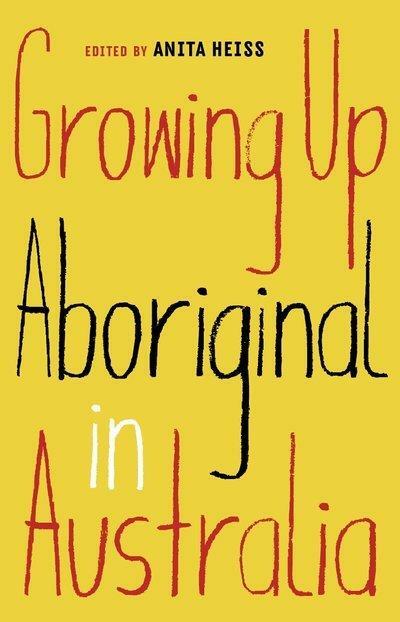 Many of the authors have experienced a racism of knowledge and ideas that runs so deep as to make it difficult to explain to anyone what ‘growing up Aboriginal’ means, without playing into stereotypes and the expectations of colonisers. Several of the authors in this collection make a pertinent suggestion: that until the whole of Australia can ‘grow up a little more Aboriginal,’ we can’t presume to know or share what this means with each other. This collection details a lot of pain, but looks hopefully to the future, too. Each story is full of nuance and answers all sorts of questions, in beautifully complex ways, about Aboriginal experiences in contemporary Australia that often go unasked. Contributors include well-known writers, thinkers and activists such as Tony Birch, Celeste Liddle, Deborah Cheetham, Adam Goodes and Miranda Tapsell, as well as community leaders, young people and elders from different nations. Growing Up Aboriginal in Australia is a much needed addition to every Australian bookshelf, and will challenge and impress every reader who opens it.